The urinary system of a rabbit includes the kidneys and bladder and is responsible for removing waste from the body. Because of this function, it can also be referred to as the excretory system. The kidneys are responsible for maintaining acid/base balance, adjusting electrolytes, and altering urine metabolite concentrations. The urine produced in the kidneys travels to the bladder through two muscular tubes called ureters. The urine is then stored in the bladder until it is excreted out of the body through the urethra. Normal rabbit urine can vary in color. It is paler yellow when excreted but can turn darker yellow, orange, reddish, or brown when exposed to air. 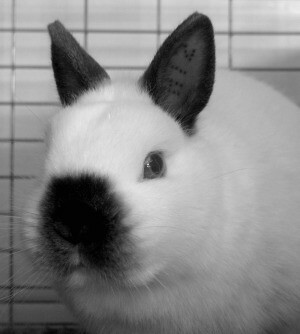 Certain pigments in the rabbit's diet play a major role in determining the color of its urine. Other pigments, known as porphyrins, are produced by the bladder and can also alter the color of rabbit urine. Urine that is bright red is typically a symptom of a urinary tract disorder. The presence of blood in urine is a clear indication that veterinary care is needed for the rabbit.